In this article, we will explain how to export segments to Google Ads (Prev. Adwords), and use them to build campaigns. In this article, we will outline how to export a segment from Yieldr Air to Google Ads. This article is for users that already have a Google Ads account. If you don't have an account, click here. If have you have not integrated Yieldr Air with Google Ads yet, click here. 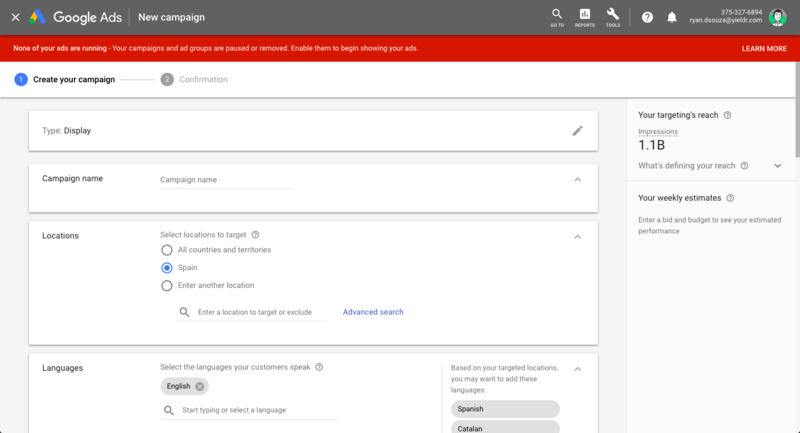 Important: You must qualify for Google Ads Customer Match in order to be able to use the exported segment. Refer to Google's documentation for requirements on enabling Customer Match. The first step is to identify which type of campaign you would like to run in Google Ads. 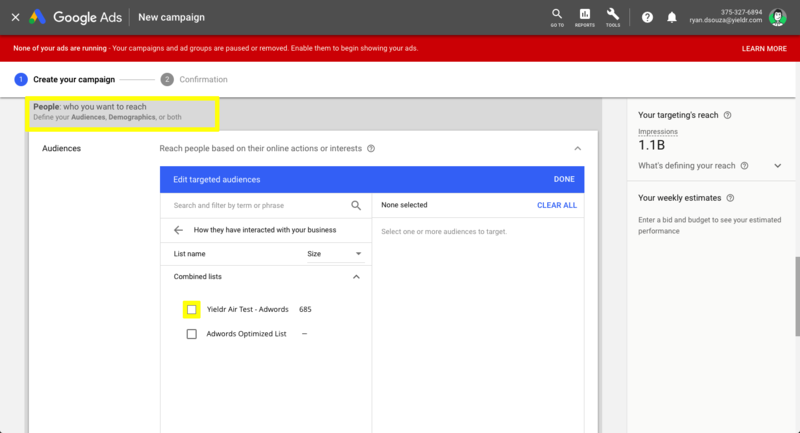 In Google Ads, you can run two types of campaigns: You can either create a search campaign using Remarketing Lists for Search Ads (RLSA) , or you can create a display retargeting campaign on the Google Display Network. Search ads look like the example below. It is important to decide which type of campaign to run before exporting, as search campaigns need a much larger potential audience to be effective. This is because they will be limited to those who search for a specific keyword(s) you choose to bid on. 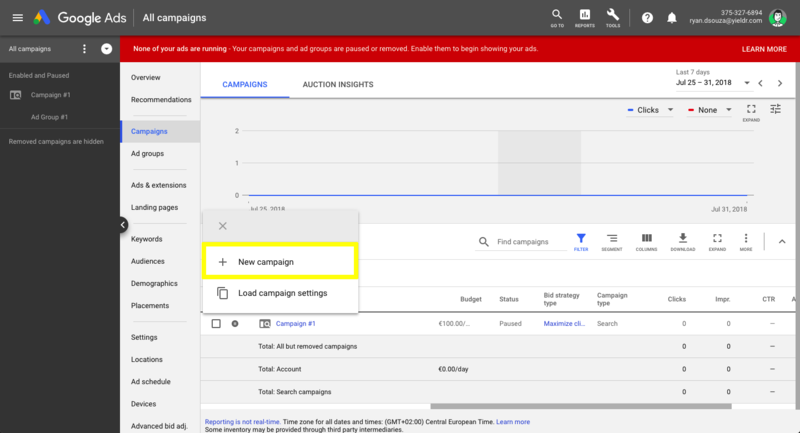 For more information on the two types of campaigns you can run in Google Ads, click the links below. First, login to your Yieldr Air account. Click on Flights, and identify a group of flights you would like to promote. Select this group of flights. Click View Audience to analyze the demand for the flights you have selected, and further refine the audience. Now click Segments on the left hand panel. Locate your segment and click Export. Select Adwords. Navigate back to Segments to see if your segment has been exported properly. 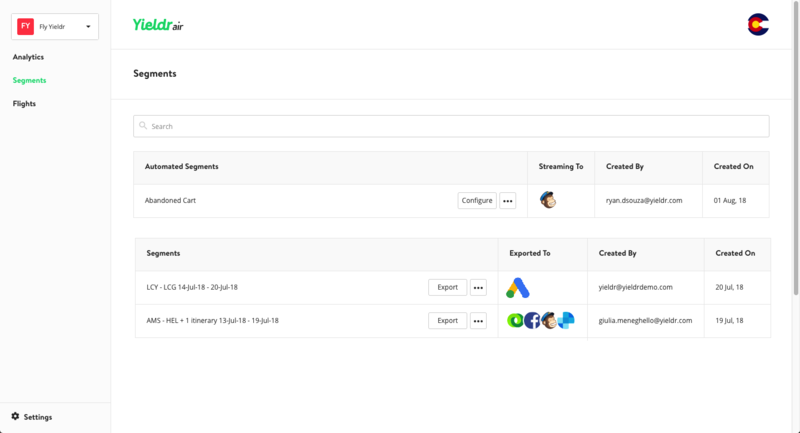 Login to the Google Ads account integrated with your Yieldr Air account. Click the wrench icon on the upper toolbar. Click the segment, and add it either to an audience list or ad group (if you have one existing already). For more information on both of these, click the links below. Press the back button next to Google Ads on the upper left part of the screen. Click on Campaigns, then select the blue plus icon. 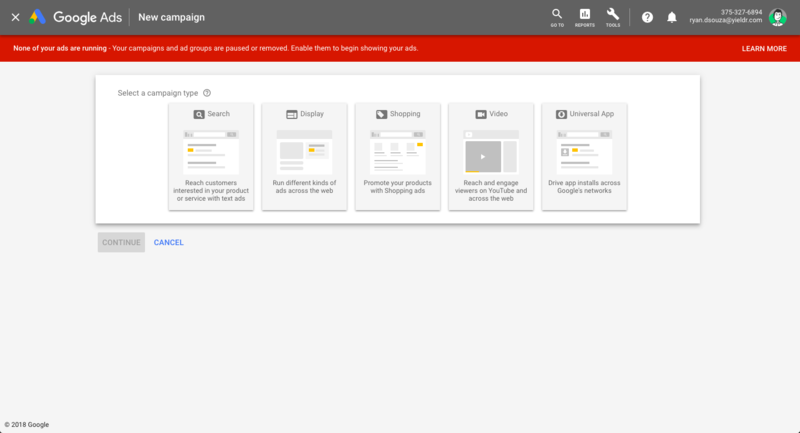 Now choose which type of Google Ads campaign you would like to run (Search, Display, or Youtube). Now you will set up your campaign (targeting options, budget, objectives). Scroll down to People, and expand the box. Now select the segment you have exported from Yieldr Air.